Another destination you need to put on your vacation list is Malang. Located in East Java province, you only need to fly an hour and 20 minutes from Jakarta. This city offers you fresh air along with its amazing halal and mouthwatering local food! I'm sure your family or colleagues are gonna love them. Let’s check it out! It is a must try and you should put it at the top of your list. Sate Bang Saleh was established since 1974. Quite a legend, isn’t it? This restaurant offers chicken and goat satay, Kabsah rice, Kabuli rice or even goat soup. For the satay, you can order with or without the fat. 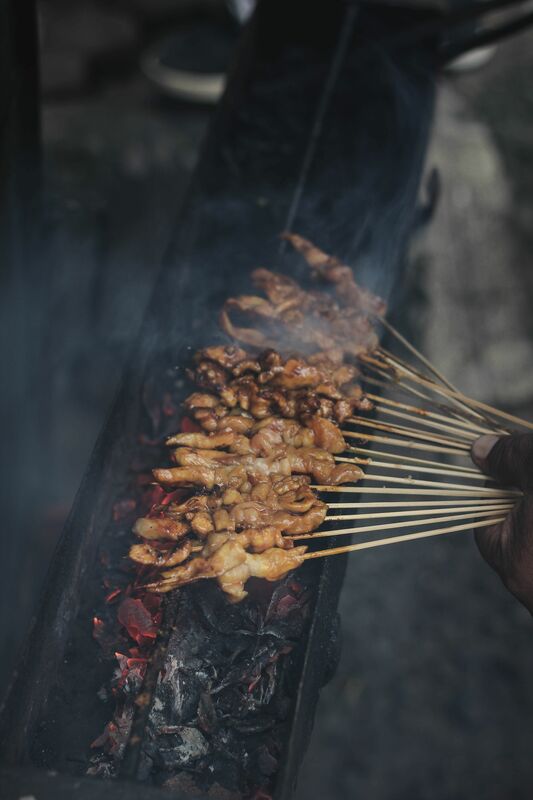 You can enjoy your chicken satay for IDR 20,000 and goat satay for IDR 40,000. Sate Bang Saleh uses Basmati rice as the main ingredient for Kabsah and Kabuli rice. Both of these Arabic foods have a bold taste. Delicious, warm, and pretty tempting when you smell it. 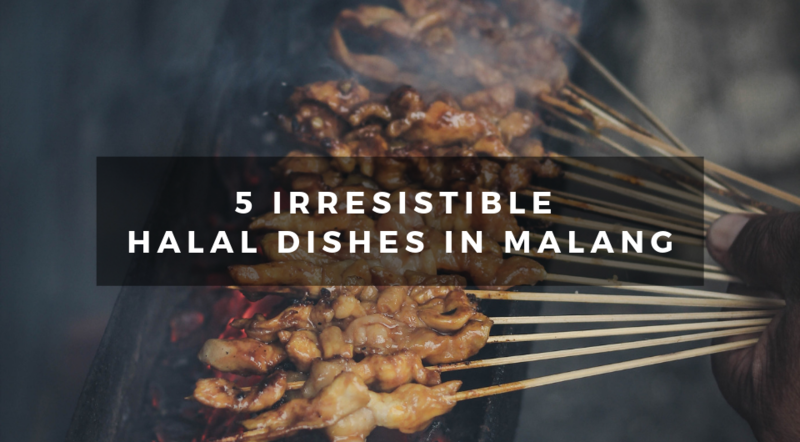 You can add more pickles, Mattah Sambal and fried goat to add a little more zing to it. The owner of the restaurant, Laily Fitria Lizza, said that the restaurant cooks at least 20 goats per day. She always makes sure to carefully analyze the entire process to ensure that the product is Halal. This menu uses a local rooster instead of the usual broiler chicken. Surely this kind of chicken grows naturally. According to Nur Ardiansyah, grandchild of the owner, the local rooster gives off a tastier chicken broth. The texture of the rooster is generally tougher than the usual broiler chicken. This Soto has a fresh sauce with an attractive aroma, combining savory and citrus. You can have this mouthwatering Soto at only for IDR 15,000. I challenge you to try this hot and spicy dish! Entok is a local language that translates to duck. While Rica Rica means cooked spicy. Rica Rica Entok is served along with a side of rice. The cuisine looks similar to the soup. The tender meat of the Entok is cooked with spicy coconut milk that is not too thick. Try adding a sprinkle of crispy savory shallots to elevate it! As an additional side, add papaya leaves and large-cut fried tempeh. The papaya leaves in this restaurant are not that bitter. So what are you waiting for? Grab it at only for IDR 25,000 / portion with rice or IDR 20,000 / portion without rice. 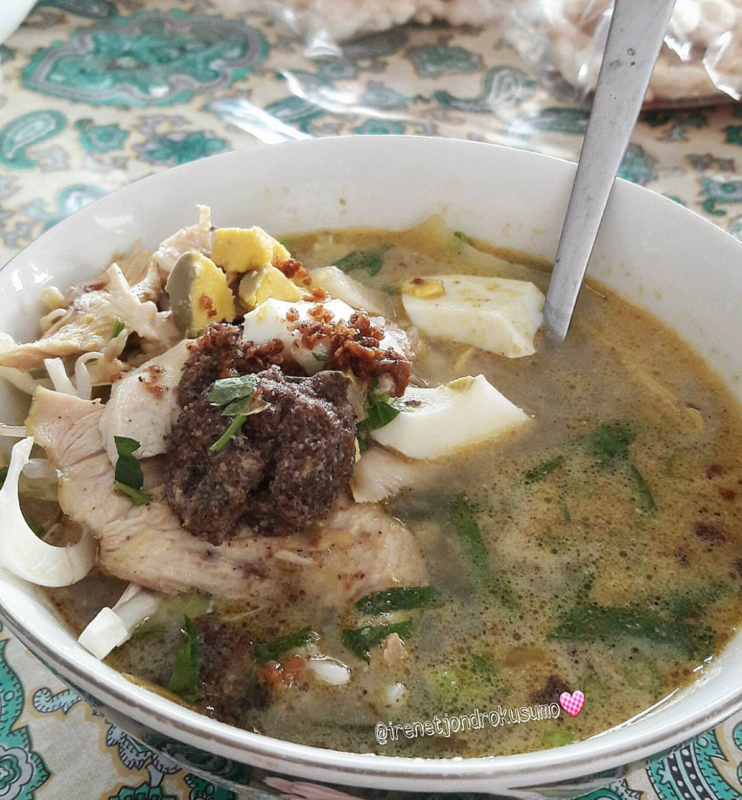 Rawon is known as a halal-traditional cuisine from East Java. It may look a bit odd as the soup’s color is black. Once you move your spoon inside Rawon, you will find pretty thick slices of beef. The taste is pretty bold due to the blend of spices, lemongrass, and orange leaves. Don’t forget to add Mendol (processed tempeh) to go along with your bowl of Rawon Kemari. 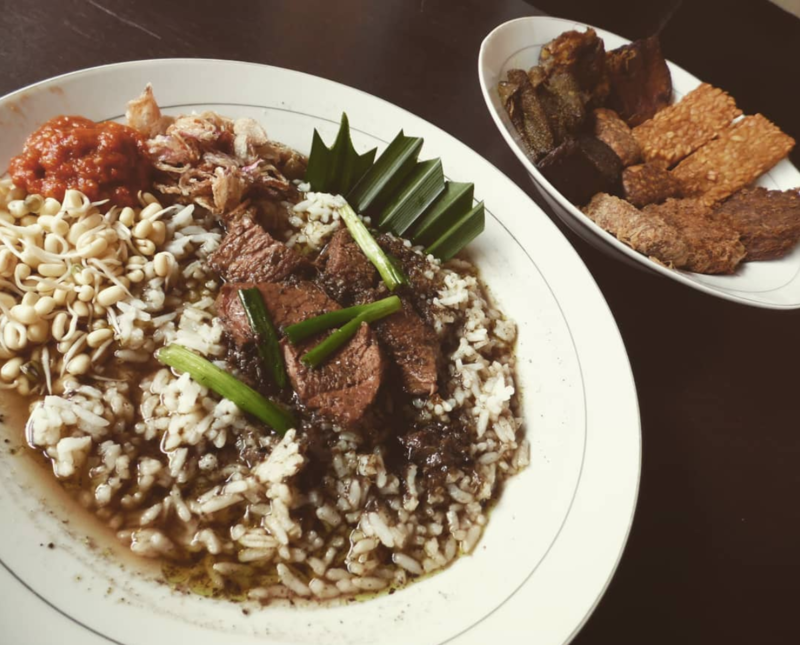 You only need to pay IDR 12,000 for a bowl of Rawon Kemari. Warung Sate Gebug was established in 1920 during the Dutch colonization. Till today, the restaurant has never moved from its original address and still operate in the same building. Get a taste of this cuisine that has lasted for more than a decade. This classic restaurant serves its own menu namely the Sate Gebug. 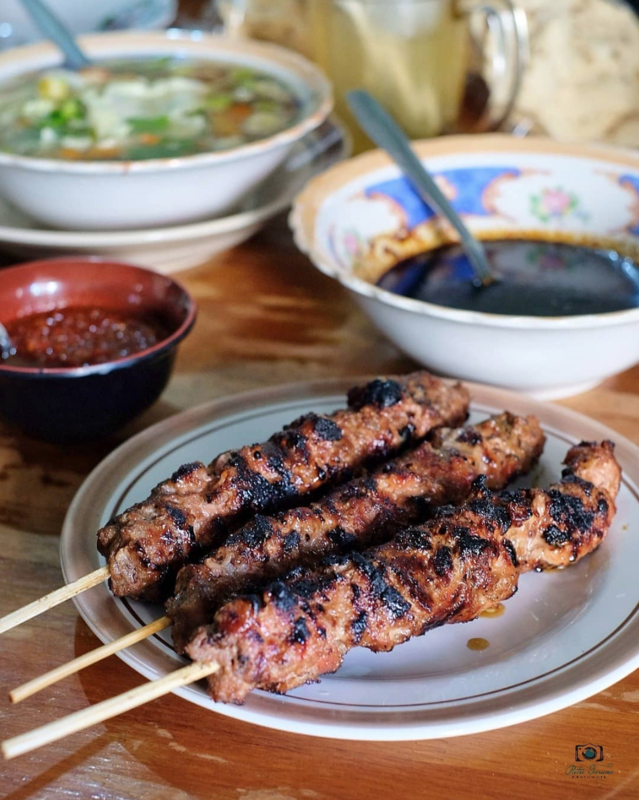 Unlike the satay in general, which is topped with peanut sauce, Sate Gebug is not topped with peanut sauce since the meat is already spicy and is full of flavor. The satay is made from the tenderloin beef. After the beef is being cut up, the meat is then beaten so that it is flat and tender. Next, the meat will be marinated with spices and when it is fully marinated the Sate is being grilled until tender. For this tasty beef satay, you only need to pay for IDR 30,000 for evry 10 pieces.